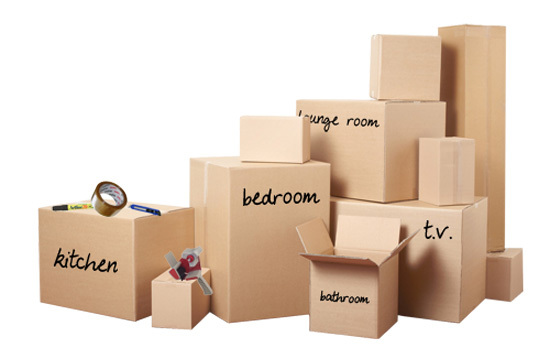 If you are planning to move, you may want to hire a professional moving company to make the job go more smoothly. Here are a few tips to make the process go more smoothly. Always get referrals from trusted sources who have recently moved. Although web searches can garner scores of reviews about various moving companies, you don’t really know who has written those reviews. It’s sad to say, but it’s possible that the moving company itself has written favourable reviews about their services and made it look as though the review is from legit customers. By asking trusted friends, family and colleagues for referrals, you can be assured that you are getting honest and trustworthy advice. It’s important to get referrals from people who have moved recently (say, in the last year or so) so that you can be reasonably sure that the company’s level of customer service is still the same as it was then. A company may have been stellar five years ago, but who knows what their service is like now? The moving industry is regulated by law. It’s important to ensure that any moving company you hire has the required insurance, bonding and licenses and that these are all current. Insurance is important because if something should happen to your belongings during the move, you have recourse to take action. Always “shop around” for the best value for your money before you hire a mover. Consider at least three different moving companies’ offers before you choose one. Look at all the aspects of the service, not just the price. What do you get for that amount? Are they available when you need them? What additional services do they offer? Will they charge you more for moving things down narrow hallways or up stairs? All of these things go into evaluating whether the deal is right for you or not. The last thing you want is to get a bill after your move only to discover that the final total on the bill is much higher than you thought it would be. When you get an estimate (and you should always get an estimate) from companies like montrealmovers.com, it’s a good idea to get everything in writing. Be sure that the estimate outlines exactly what is included and any “hidden” fees, etc. When you are considering which company to hire, it can be tempting to hire the company with the lowest price. If, however, a company’s estimate comes in much lower than the others, it could be a red flag. It could signal that the company is desperate for customers. If that’s the case, it’s important to ask yourself why they are so desperate. They probably aren’t the company you should be hiring. If you get a bad feeling about a company, there’s probably a reason for it. Gut feelings are rarely wrong, so if something rubs you the wrong way when you meet with a company, don’t hire them.